Do you have hen fever? Many in the 19th century did. 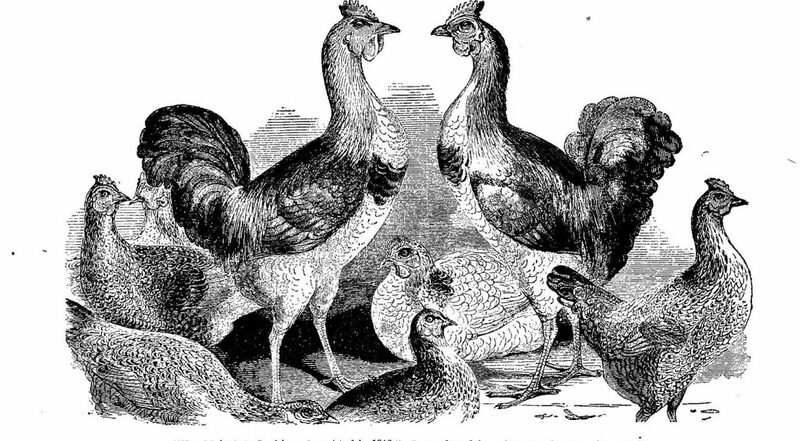 From about 1845-1855, an obsession with owning and breeding the world’s finest chickens swept across the United States. The epidemic started with Queen Victoria in England, whose royal menagerie of exotic species was enhanced, according to Wright’s The Illustrated Book of Poultry, in 1843 with a selection of chickens known as Cochin China fowl.